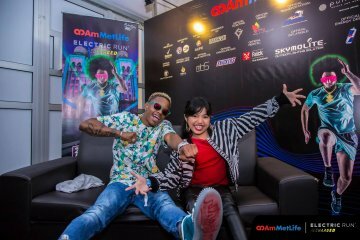 The multi-platinum selling band gained international recognition following the release of their third album in 1999, ‘Make Yourself’ which spawned several hits, including the band’s highest charting song “Drive”. Having produced 8 studio albums that sold more than 13 million copies worldwide, the band is known for its rock anthems like “Wish You Were Here”, “Megalomaniac”, “Anna Molly”, “Drive”, “Pardon Me”, “Are You In? ”, and “Nice To Know You”, among others. The quintet rock outfit, featuring vocalist Brandon Boyd, lead guitarist Mike Einziger, drummer Jose Pasillas, bassist Ben Kenney and DJ Chris Kilmore last performed in Malaysia in 2011. 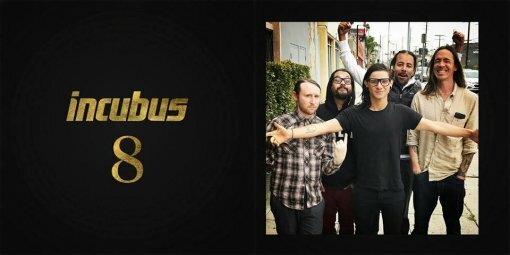 Having played for over millions of people across the world, Incubus has performed alongside some of the world’s alternative rock heroes such as Foo Fighters, Pearl Jam, the Flaming Lips and Deftones to name a few. In February 2018, the band is expected to play songs from their eighth album, aptly titled “8” that debuted at number 4 on the Billboard 200 albums chart. Re-produced and mixed by Skrillex, the album released in April 2017 is the band’s first full-length release since 2011, album “If Not Now, When?”. 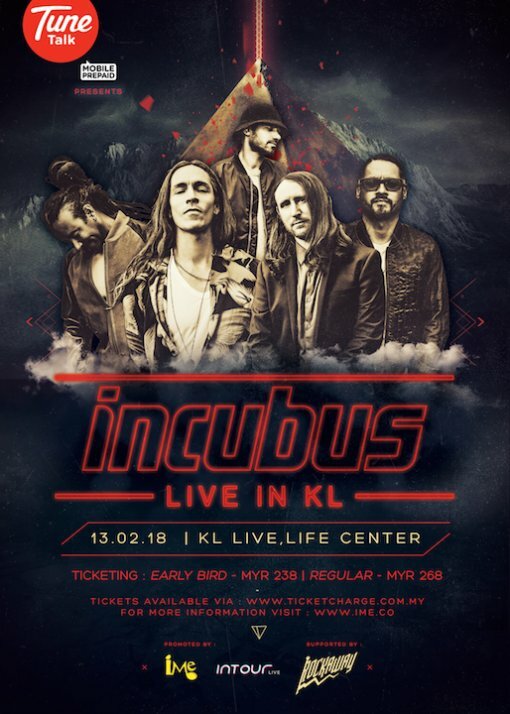 Ticket prices for Incubus Live in Kuala Lumpur 2018 Malaysia starts at RM238 (Early Bird) and RM268 (Normal). Tickets will go on sale on December 1 at 10.00 AM via www.ticketcharge.com.my. 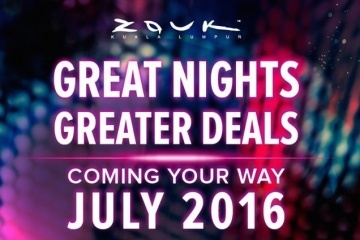 *ALL tickets price including 6% GST but excluding RM4 processing fee.